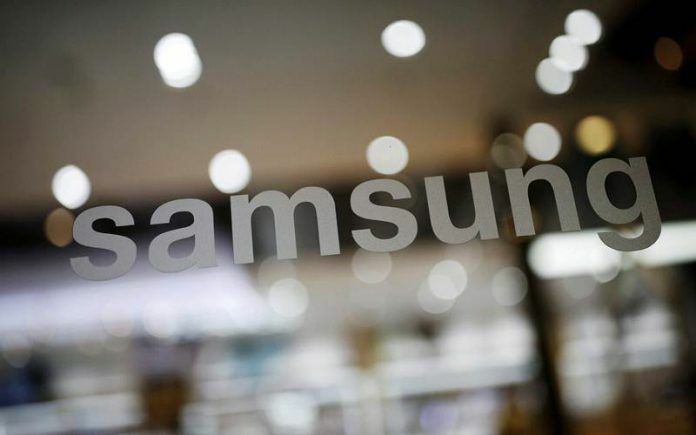 Samsung has reportedly commenced mass-scale production of its Galaxy M10 and Galaxy M20 smartphones in India, which is also the region where the company earlier launched the world’s largest smartphone factory. Samsung is looking to promote its mid-range smartphone series to regain the top spot in India, which is currently occupied by Xiaomi. According to industry sources, the company has started mass production of its Galaxy M10 and Galaxy M20 devices in the region. If you recall, the Galaxy M series was slated to replace the Galaxy J, Galaxy On and Galaxy C family, and provide customers with compelling features such as, increased storage. Samsung also recently launched the world’s largest smartphone factory in Noida, India, so that is most likely where the Galaxy M10 and Galaxy M20 are going to be manufactured. Let us take a more in-depth look at the industry sources’ information when they talk about Samsung’s plans of promoting its new and possibly improved mid-range smartphone series. According to 91Mobiles, the production of Galaxy M10 and Galaxy M20 has started at the company’s massive factory located in Noida. Unfortunately, the publication could not provide information on when these devices will officially launch. However, we’re in the last month of 2018, which means that Samsung could look to start 2019 on a positive note with the launch of the Galaxy M10 and Galaxy M20. 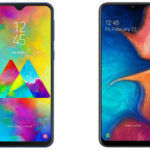 Rumors have indicated that both the Galaxy M10 and Galaxy M20 are going to be the first devices from the company to feature a notch. While other manufacturers have embraced the notch in a bid to increase screen real estate, Samsung included uniform bezels at the top and the bottom. The company most likely maintained this design so that it would not have been branded a ‘follower’ to Apple’s notch approach on the 2018 iPhone lineup and last year’s iPhone X (Review). However, during the company’s SDC 2018 keynote, the company introduced display variations called Infinity-U, Infinity-V, and Infinity-O. Aside from the Infinity-O display, Samsung is expected to use a notch on the remaining display variations, which the upcoming Galaxy M series will most likely be a part of. The South Korean titan did not have the most exciting run with its flagship smartphone division in 2018, and with competition increased, the company is ramping production of its cheaper handsets to maintain or increase its global market share. Samsung M Series: What We Know So Far? 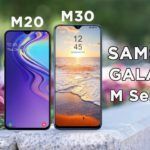 Samsung is expected to launch its Galaxy M10 (SM-M105F), Galaxy M20 (SM-M205F) and Galaxy M30 (SM-M305F) in the near future. 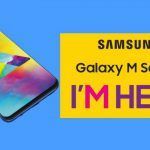 The Galaxy M10 was spotted running an Exynos 7870 at Geekbench, while the Galaxy M20 was seen on AnTuTu reportedly carrying an Exynos 7885. There is no information on which SoC the Galaxy M30 will be running, but it will belong to Samsung’s Exynos series. Samsung is expected to use LCD screens to reduce manufacturing costs, which in turn will benefit the customer, as they’ll be paying less to own one of these. 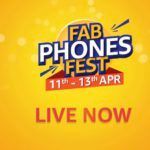 The upcoming smartphone family is also expected to provide storage models starting from 16GB and going all the way up to 128GB. 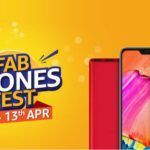 These models will even get dual-SIM functionality as developing markets has shown a liking towards devices that can fit in multiple SIM cards. 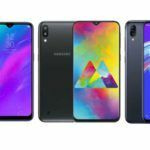 There’s no word on pricing at the moment, and as 2019 begins, we’ll get to know more about the Galaxy M10, the Galaxy M20, and the Galaxy M30, so stay tuned. After you’re finished reading about Samsung’s plans to manufacture the Galaxy M10 and Galaxy M20 locally, you can check out our unboxing video of the Galaxy A9 (2018). This is the world’s first smartphone to feature four cameras at the back and to see how it performs, we’ve also included some camera samples.